Lot Playa Blanca - The Mexico Land Catalog - Development Land and Homesite building lots for sale in Mexico. 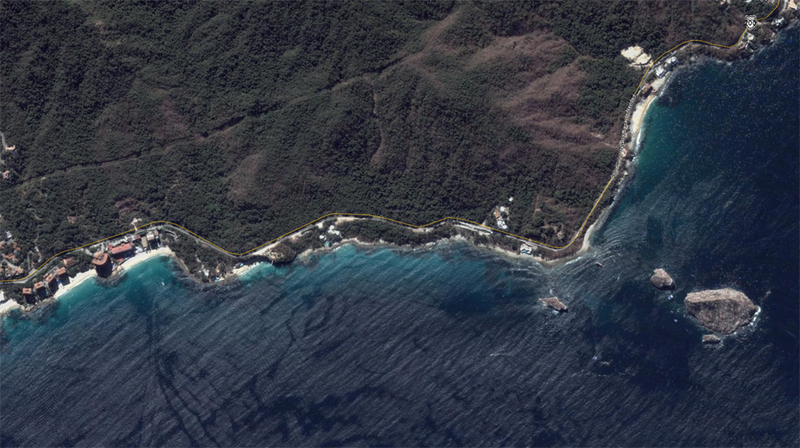 The best available development lot in Puerto Vallarta! A total of 135 hectares of which 12.5 hectares can be built on, 10 minutes from Town, 200 linear meters of beach front, owner has concession to over 4,000m² of beach front area. The logistics of the lot allows each unit of the future Development to have amazing panoramic views of the ocean, mountains and surrounding jungle vegetation. The possibilities of this unique property are endless. The land has existing infrastructure, bringing the construction cost down. At $124.00 US. X m2 for the 12.5 hectares that can be built on, this is an opportunity that your Developers must consider. H1 Zoning for 132 hotel rooms, plus 180 units (condos/homes).